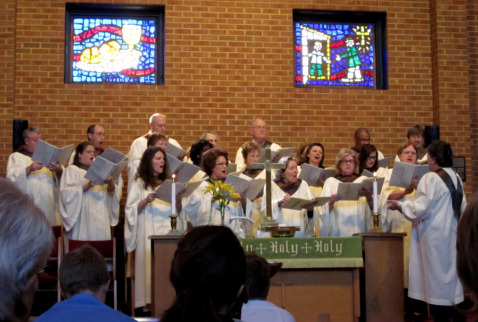 Adults who love to sing and lead in worship each week meet Wednesday evenings, 7:30 to 9:00 P.M. and lead in worship each Sunday morning at the 11:00 A.M. service. The Chancel Choir also prepares special music and cantatas during the Christmas and Easter seasons. This is a joyful group and we welcome you to join us as we "serve the Lord with gladness"! Elementary kids, grades K-5, this is the place for you on Wednesday nights! We meet after dinner, from 6:30-7:30 for music, Bible activities, games, friends, laughter, and so much fun!! Join us for a "Wow-time, Mid-Week, Way-Cool, Wanna-Be-There, Wonderful Wednesday" night!!! All youth in grades 6 to 12 are invited to be a part of this dynamic music group! We meet from 4:30 to 5:30 in the Chancel Choir Room every Sunday afternoon throughout the school year, followed by U.M.Y.F. activities at 5:30. Don't miss out on this awesome opportunity for music, drama and so much more! !